Numerous autonomous vehicles are being developed in the automotive and technology industries but none of them had ever been used in public roads, under challenging, real life conditions. After all, a vehicle capable of navigating without human input is a rather hard concept to achieve. The industry has been testing autonomous public transportation vehicles for years, but they were only able to use special single trajectory lanes. 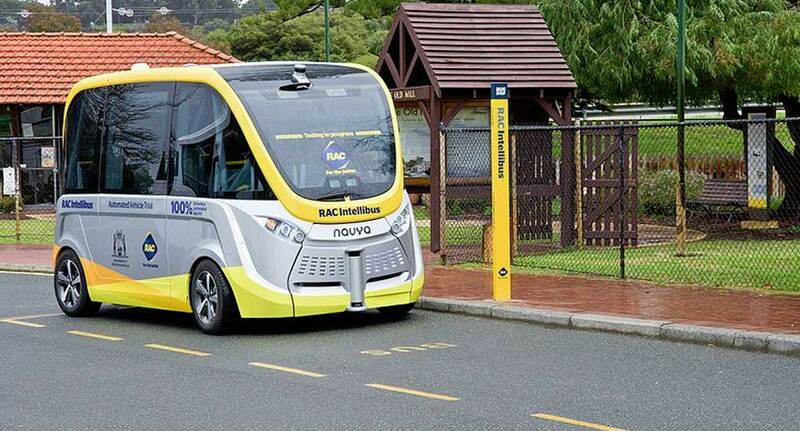 The WEpod electric driverless bus was the first one to be tested on regular roads amongst public traffic, in January 2016. The trial of the WEpod was developed with Delft Technical University for €3m (£2.3m). The WEpod vehicles have a six-person cabin, with an automatic door and an extendible platform for wheelchair users. The platform will be able to hold one wheelchair or six people. Onboard, there are computers to control the braking, accelerating and steering. They will also come equipped with radar sensors, laser sensors and GPS to detect their surroundings and location. Multiple cameras will also be used as an alternative navigation tool, when GPS accuracy is masked by road obstacles like trees. The vehicle needs to know its route and to follow it safely. As a result, a special map of the journey must be created. It will contain, not only the geometry of the road, but also any visible objects like trees and lampposts. Additionally, the precise speed of the vehicle will be established for each section of the road. Although there is no driver in the WEpod, the operator will be watching the whole procedure from a control room. They will be monitoring critical parameters, for example when it stops at any point during the journey, its speed and any possible abnormalities in the way the vehicle functions. In certain situations, the operator will also be able to intervene, if necessary. The WEpod will be booked by a passenger using an app which will allow them to reserve a seat and specify the point of departure and destination. The primary goal is that, one day the WEpod will be circulating between Ede-Wageningen railway station and Wageningen University & Research center (WUR), as well as on the WUR campus. Several trials of semi-autonomous and autonomous vehicles are already underway outside the Netherlands, from companies including Mercedes, Audi and Volvo. Tesla’s Model S sedan automatically keeps the car within its lane and maintains a certain distance from the car in front, both at highway speeds and on city streets. Self-driving vehicle trials are also set for public roads of the UK. It is only a matter of time before a driverless vehicle, similar to the WEpod, could stop in front of the doors of multiple passengers to pick them up and deliver each one of them to their final, individual destination. It will enable transportation in a city by cutting traffic and saving time and energy, while solving the problem of limited routes and unexpected delays.